The dark nights are drawing in, the temperatures are dropping and you’ve probably retrieved your warmest coat from the wardrobe; yep, winter’s very much closing in. With this in mind, leading home repair and improvement blog DIY Newbie is reminding all Britons of the jobs that need to be done around the home before the worst of the winter weather starts to draw in. From practical preparations like ensuring your home is insulated to financial considerations such as boiler cover, it’s all here in our handy guide. You should have been putting your heating on at regular intervals during the summer and autumn to ensure everything’s running smoothly. But once winter swings round, you’ll want to make sure your system is working as efficiently as possible. So insulating your pipes and water tanks is important, as this can help to avoid bursts and leaks caused during periods of sub-zero weather. Also consider installing loft insulation to keep the heat in and save money on your energy bills. You may even be able to claim an energy grant from your energy supplier, local council or the government to help cover the cost. Your boiler needs to be serviced by a Gas Safe Register-approved engineer at least once a year to make sure it’s running efficiently and, more importantly, safely. It’s a good idea to get the work carried out before a cold snap, as this is the time when an increase in boiler breakdowns is seen due to surging gas consumption. Some boiler insurance policies will come with an annual service included, so it could prove to be a financially smart decision to get this type of insurance in place. This might sound like an obvious point, but if you’ve recently moved house or have never had to shut off your water supply, it’s worth finding out where your stopcock is. If you suffer a burst pipe, you’ll be glad you know of its location, as the sooner you can shut it off, the less damage the leaking water may do to your property. From burst pipes and boiler breakdowns to a loss of power or water, a whole host of things can go wrong in your home during the winter. Therefore, it’s important to be prepared for the worst by getting a pack of emergency supplies together and storing it upstairs. Torches, warm blankets, a change of clothes and tinned food should all be included in the pack. 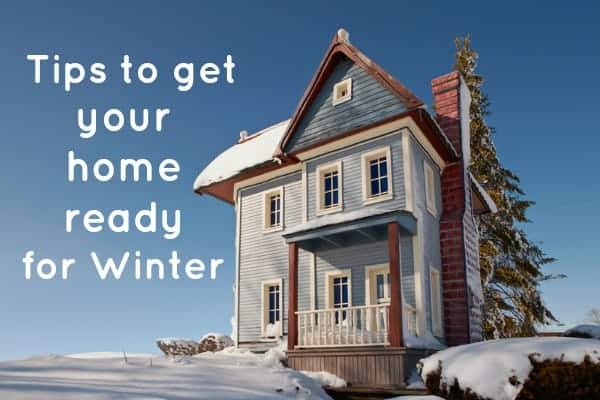 Of course, a one-stop check-up is never going to be enough – preparing your home for winter needs to be an ongoing process that happens day-to-day, week-to-week and month-to-month.